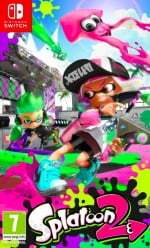 Despite making its debut on Nintendo’s underperforming Wii U, Splatoon has become a successful new Nintendo property by all counts, especially in Japan. 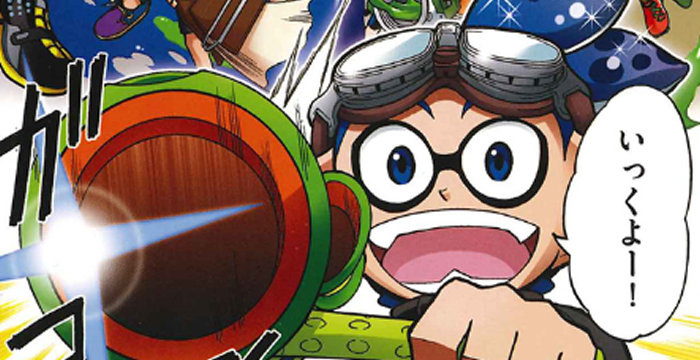 For quite a while now, there’s been a long running Splatoon manga in Japan’s CoroCoro magazine, which has proven itself to be decently popular in the region. And now with Splatoon 2 due to make its big debut in just a few days, CoroCoro has decided to take advantage and reveal the next step past the manga. The company has recently announced that it will be producing a Splatoon anime, which will be making its debut next month on 12th August. The story will be based on the manga that came before, and it won’t actually be airing on TV. Rather, episodes of the anime will be posted to CoroCoro’s YouTube channel. Not a whole lot else is known about it at this point, but perhaps if it proves to be popular enough there may be a dub at some point in the future. What do you think? Will you be watching this? How do you think Splatoon 2 is going to perform? Share your thoughts in the comments below. @ZurapiiYohane Wonder if they'll do a sub? I'd be interested in watching this! I'd watched it if it gets a dub. I'm already interested in a Splatoon manga as it is. Squid game has collaboration with Squid anime (Squid Girl), then gets its own anime. There better be an English sub option. At least that much should be done. Then I'll watch it. I think an anime sounds like a great idea. I'll be watching this. I'm sure Splatoon 2 will find great success in the next year. Cool, I guess. Right now, I'm starving for Splatoon 2 too much to care. Or as my mom calls it, Splashmountain. But will the anime have english subtitles? Find out on the next episode of Splatoon! Im unsure of exactly how much body there is to this. My 6 year-old daughter: "Will it show a squid boy peeny?" Maybe to coincide with a YouTube app on the Switch? Guess I'll give it a try. I still always wanted a Splatoon show. I think the art in the manga is a bit generic (but solid) when compared to the art direction in the Splatoon game - hopefully the anime corrects this. They don't come across as cool as in the game, in body language especially. Hoping for it to get dubbed. I'm not sure what all this means. I was at a Dallas Texas Best Buy yesterday. And it is a bit strange they have about three copies of every single switch game on the Shelf. Know that the Shelf space for the switches very small probably about 8 to 10 feet in length total. They do not even have a demo unit of the switch and there is just a TV that shows some promotional commercial about the switch. Also they don't have any switches in stock. It looks pretty bad, I realize that Nintendo is selling every switch they can make but they need to do something and fast they need demo units and they also need to ramp up production like three or four fold. I am afraid that all the buzz and everything for the switch is going to expire and that might turn out to be a fad. I guess they will be shorts, like the Pokemon-ones. Here's my question. Who are the voice actors gonna be?